SIR bridges the gap between university research and industrial application, facilitating a collaborative environment in which companies of all sizes and across a range of sectors can respond to technical challenges to increase reuse, repair and remanufacture in their manufacturing operations. We will help you identify and deliver innovation into your business, enabling collaboration between you and research experts from across the university base. Apply for matched funding to dedicate academic time, expertise and resources to your industry challenges. Connect with our network of university partners and their academic experts in areas such as automation, inspection, cleaning, process optimization, business modelling and reverse logistics. 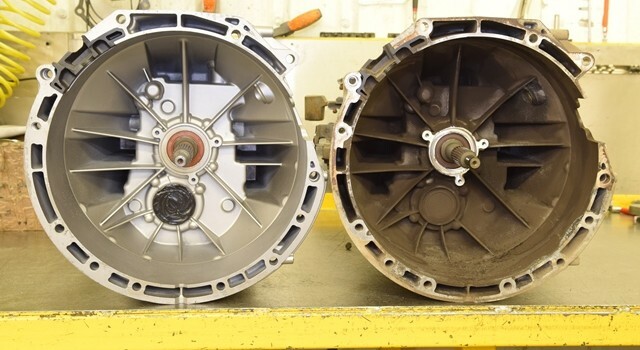 Access state-of-the-art and equipment and facilities to investigate and test improvements to remanufacturing processes. Join a growing community through our workshops, meetings and events, sharing knowledge in remanufacturing technology, processes and tools. Influence the scope of SIR and the longer-term strategic research in universities, tackling common remanufacturing challenges and needs. Are you thinking about remanufacturing in your business? Why not take a look at the Remanufacturing Competency Checklist, developed by the High Speed Sustainable Manufacturing Institute (HSSMI) and SIR. Get in touch with us to find out more about the tool and to find out how we can help you progress to remanufacturing or improve your existing processes. Sign up to our mailing list to be kept up to date with news, events and business opportunities.